Elizabeth Economy is the C.V. Starr Senior Fellow and Director for Asia studies at the Council on Foreign Relations (CFR). The author of The River Runs Black: The Environmental Challenge to China’s Future (Cornell University Press, 2004), Economy also co-edited China Joins the World: Progress and Prospects (with Michel Oksenberg, Council on Foreign Relations Press, 1999) and The Internationalization of Environmental Protection (with Miranda Schreurs, Cambridge University Press, 1997). She has published articles in foreign policy and scholarly journals, including Foreign Affairs, Harvard Business Review, and Foreign Policy, and op-eds in the New York Times, the Washington Post, and International Herald Tribune. Economy is vice chair of the World Economic Forum’s Global Agenda Council on the Future of China and serves on the board of the China-U.S. Center for Sustainable Development. She is a frequent guest on nationally broadcast television and radio programs, has testified before Congress on numerous occasions, and regularly consults for U.S. government agencies and companies. 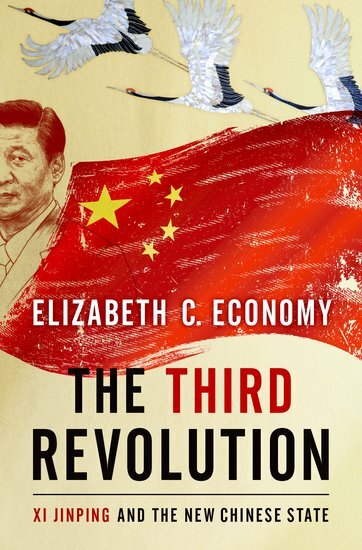 Economy is currently writing two books: one on China's rise and its geopolitical and strategic implications, and another, with Michael Levi, on China’s global quest for resources (forthcoming, Oxford University Press, 2013). Economy received her B.A. from Swarthmore College, her A.M. from Stanford University, and her Ph.D. from the University of Michigan. In 2008, she received an honorary doctor of laws degree from Vermont Law School. While I can’t do justice to all the material presented in Xi Jinping: The Goverance of China, here are some things I learned from reading through Xi’s musings and the musings of others about him. Instead of opposing its creation, the U.S. should consider joining the bank as a means of guaranteeing that it matches world-class financing strength with world-class environmental practices.